Pelosi's loss of control was discussed yesterday, Friday, on Rush and Savage (I think). It was accompanied with my beloved Dopey will be "primaried" out of office. That's a given. What's chilling is how easily Justice Democrats took control over the Dem's agenda without taking over the party. 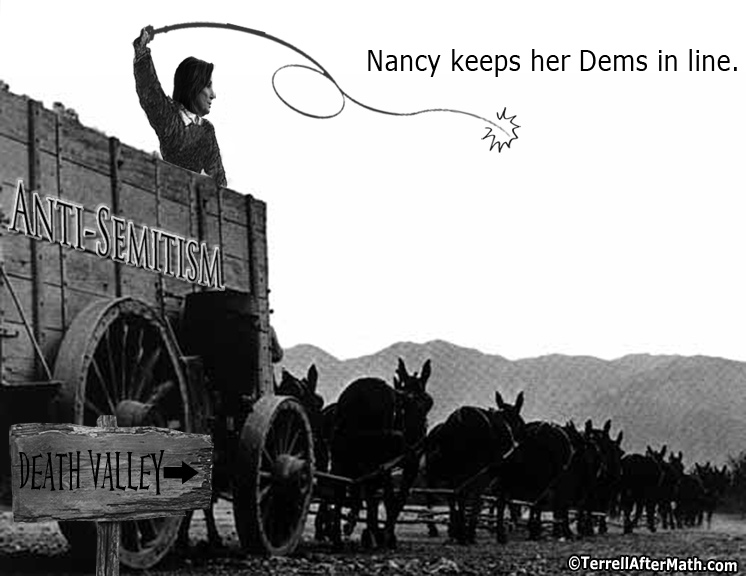 That's a sure sign that Nancy Pelosi and Diane Feinstein have lost it. Considering the extreme difficulty TEA and other solid conservative movements are having in altering the republican agenda to more reflect the conservative values they claim to support, I can only conclude the ease with which "Justice Democrats" are having turning the democrats as a whole hard left means that is the direction they desire to go. Yeah, Pelosi needs to watch her back for sure...and things stand to get much worse for her in the near future. You are correct. The whip in Wayne's pic will be the same one the freshperson gang uses on her.